The value of a company is equal to the value of future cash flowsCash Flow Statement​A Cash Flow Statement (officially called the Statement of Cash Flows) contains information on how much cash a company has generated and used during a given period. It contains 3 sections: cash from operations, cash from investing and cash from financing. generated by the company’s operations, discounted at the required rate of returnRate of ReturnThe Rate of Return (ROR) is the gain or loss of an investment over a period of time copmared to the initial cost of the investment expressed as a percentage. This guide teaches the most common formulas for calculating different types of rates of returns including total return, annualized return, ROI, ROA, ROE, IRR demanded by investors. A company is only as valuable as the future economic benefits it can generate. Cash flows are discounted because investors would only invest in a company if it offers a return greater than a traditional risk-free rate. This guide to discounting cash flows will outline what you need to know as an investment banking analyst. This guide is an excerpt from CFI’s Investment Banking Manual BookInvestment Banking ManualCFI's Investment Banking book is free, available for anyone to download as a PDF. Read about accounting, valuation, financial modeling, Excel and all skills required to be an investment banking analyst. This manual is 466 pages of detailed instruction every new hire at a bank needs to know to succeed. Building a discounted cash flow modelWalk me through a DCFThe question, walk me Through a DCF analysis is common in investment banking interviews. Learn how to ace the question with CFI's detailed answer guide. Build a 5-year forecast of unlevered free cash flow, calculate a terminal value, and discount all those cash flows to present value using WACC. is difficult because there is uncertainty. We do not know what the future business environment will look like and forecasts are error-prone. To try and mitigate some of these issues with forecasting, a DCF model is based on a two-step approach: a visible forecast cash flow period and a continuing period. The two-stage approach is to forecast the cash flows of a company over a finite period of time, usually between 5 and 10 years (forecast cash flow period). We try to minimize the forecast period, as larger periods are more prone to error. After the initial period of more detailed forecasting, the remaining value of the company is captured by a terminal value, using either perpetuityPerpetuityA perpetuity is a cash flow payment which continues indefinitely. An example of a perpetuity is the UK’s government bond called a Consol. Although the total value of a perpetuity is infinite, it has a limited present value using a discount rate. Learn the formula and follow examples in this guide or a multiple (continuing period). 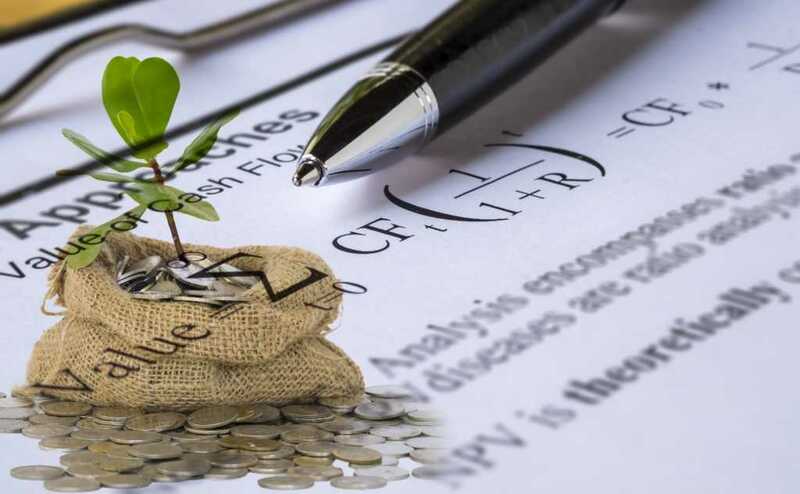 The argument for using the terminal value calculation to capture a company’s value past the visible forecast period is based on the premise that it will hit a stage of maturity. Beyond this point, cash inflow estimates will not see any major deviations. Terminal values help prevent major exaggerations in our cash flow projections.